Israeli statesman Shimon Peres (שמעון פרס‎) died today two weeks after suffering a massive stroke. He was 93. Remembered in the West as a “hawk” turned “dove” for his peace efforts later in his career, he leaves behind a complicated legacy for Arabs - from his support for illegal Israeli settlements to unapologetic bombardment of civilians in Lebanon and Gaza. At the time of his retirement in 2014, he was the world's oldest head of state. On a scale of one to “the Bulldozer,” Peres is likely to be remembered as somewhere between friend and foe –think frenemy– for most in the Arab world. He’s no Rabin, but nor is he quite a Netanyahu or Sharon. Here is a look back on the lifelong politician’s mixed legacy of achievements and challenges he left the Arab world to remember. A weapon of mass destruction? From dark beginnings he never abandoned his military roots. Peres’ military career began in the Haganah, the predecessor to the IDF, eventually serving as the Deputy Director-General of Defense in 1952, and Director-General from 1953-59. He is also widely seen as the architect of Israel’s nuclear weapons program. 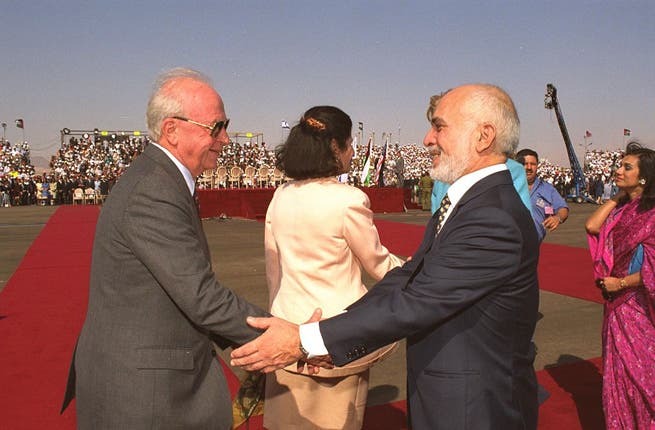 Peacemaker extraordinaire: As Rabin’s foreign minister, he held secret negotiations with Arafat's PLO, leading to the Oslo Accords and the Nobel Peace Prize. After Rabin's assassination in 1995, Peres served as Acting Prime Minister and Acting Defense Minister until the '96 elections, attempting to maintain the momentum of the peace process. 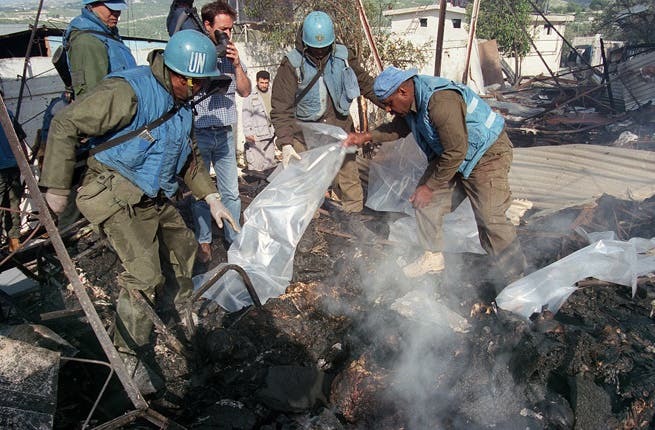 Adversary to Arabs who won't forget Qana: As Prime Minister, Peres ordered Operation Grapes of Wrath, which resulted in the 1996 Qana Massacre, when heavy shelling by Israeli forces killed some 106 Lebanese civilians. Widely believed to be a pre-election show of strength, Peres said he was “at peace” over the operation. 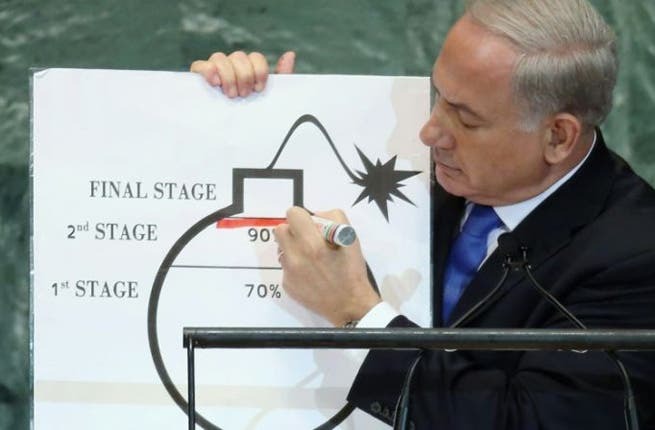 Fighting, electric words: Globally even more associated with nuclear imagery than Bibi with his cartoon bomb, Peres also widely seen as the architect of Israel’s nuclear weapons program. 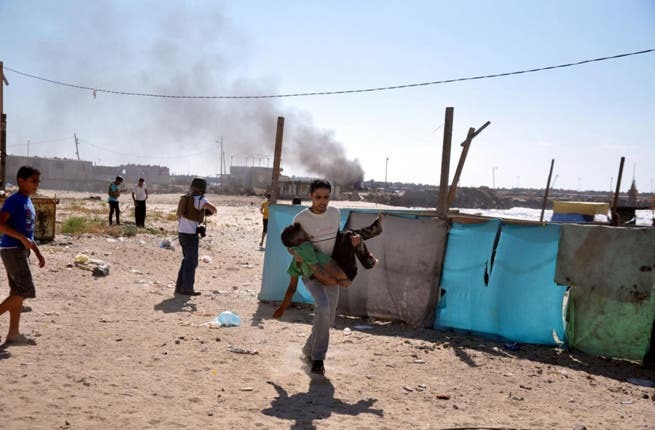 To Mahmoud Ahmadinejad’s call to “wipe Israel off the map,” he quipped, "the president of Iran should remember that Iran can also be wiped off the map." Most Arab-friendly: In June 2011, he was awarded the honorary title of sheikh by Bedouin dignitaries in Hura for his efforts to achieve Middle East peace. Peres thanked his hosts by saying "This visit has been a pleasure. I am deeply impressed by Hura. You have done more for yourselves than anyone else could have." 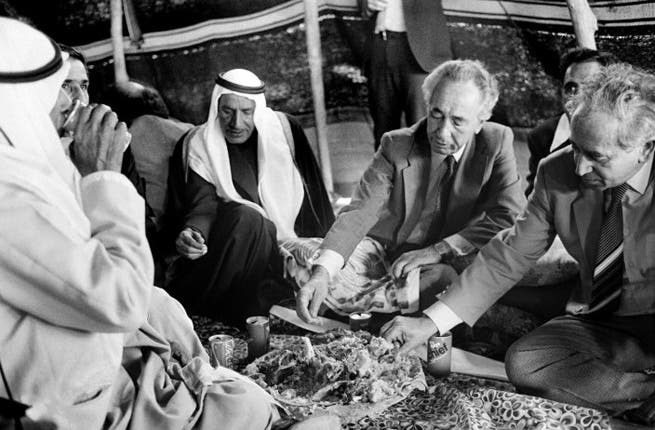 Best neighbor: Peres preferred Jordan’s King Hussein, with whom Rabin had a strong relationship, over Arafat as a negotiating partner. 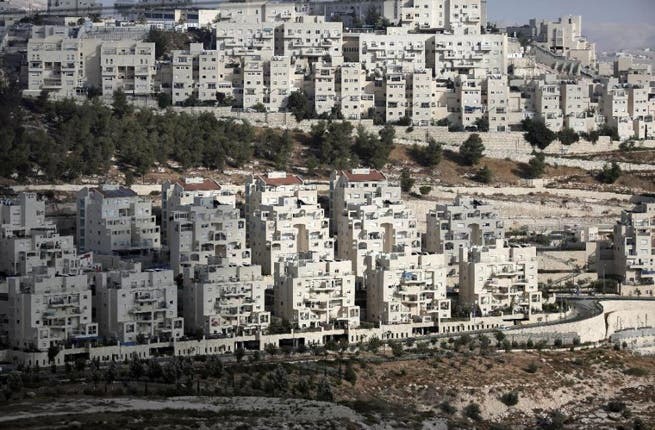 They secretly met in London in 1987, reaching an agreement which was rejected by Yitzhak Shamir. 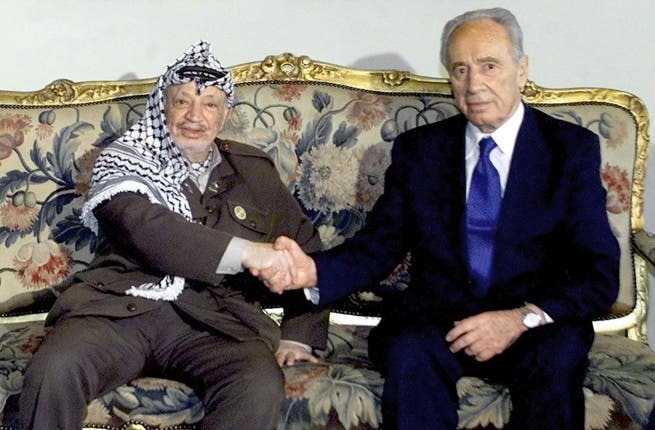 The First Intifada ended the partnership, and Peres moved closer to the PLO, but avoided open commitment until 1993. 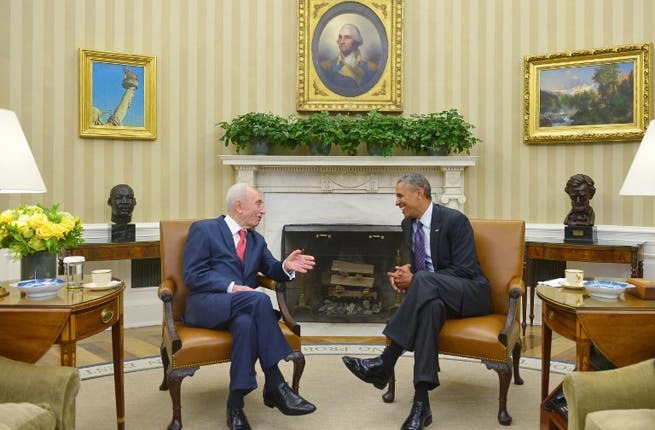 Highest superpower recognition: In 2012 Peres was awarded the Presidential Medal of Freedom from US President Barack Obama, the nation’s highest civilian honor. “Shimon teaches us to never settle for the world as it is,” Obama said in a speech honoring him. 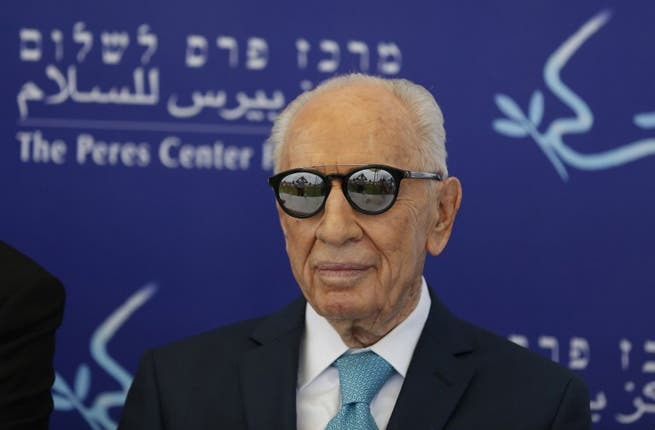 Legacy aimed at peaceful future: In 1996 the Peres Center for Peace was established, aiming to promote Peres’ vision for lasting peace in the Middle East. The nonprofit organization focuses on peacebuilding activities in the fields of agriculture and water, business, civil leadership, arts, culture, healthcare, and social media and IT.